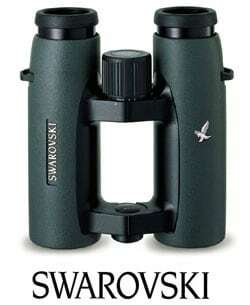 Swarovski Optik are renowned the world over for their excellence in producing the highest quality premium binoculars, telescopes and riflescopes. Aimed at the professional or serious sports enthusiast, Swarovski often set the standard and produce some of the highest quality optical instruments incorporating highly ergonomic designs, functionality, versatility and optical excellence. 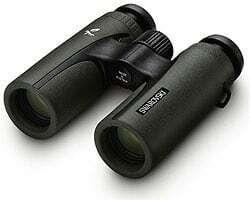 This ensures that despite their relatively high prices Swarovski binoculars are still one of the most used on the market today. Class that is Built to Last. One of the principal ideas behind their quest for quality is that once you buy Swarovski binocular, you have a pair for life. A sign of this philosophy is that almost all their binoculars come with lenses that incorporate their easy-to-clean external coating that increases longevity. Whilst from the outside, the Swarovski portfolio of binoculars looks to remain largely static, they do periodically update the models within each series. The most popular of their range are the Swarovski EL series binoculars that have been the benchmark of ultra-premium optics for a while. There is no question that these are some of the very best. Not many other binoculars can produce an image with the sharpness and natural color reproduction of the EL binocular. The open-bridge design is a favorite for birders as they are lightweight and easy handle. Included in their whole host of features is the easy to clean external lens coatings called Swaroclean making them not only simple to take care of, but longer lasting. 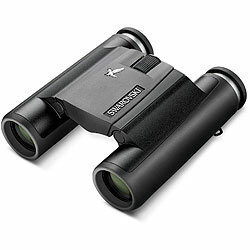 Swarovski EL binoculars also include the new SnapShot adapter for simple connection of a digital camera through your Swarovski lens. Available in 42mm and 32mm objective lens sizes, the Swarovski EL could easily be the last pair of binoculars you will ever buy. 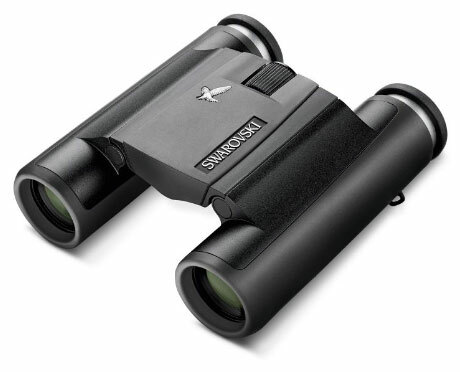 Compact binoculars, that still offer an impressive performance, yet also at a competitive price point and make some of the best value for money binoculars in the Swarovski range. Introduced in July 2011, the CL Companion models come in two different magnifications (8x30 and 10x30) and are available in three different colors: green, black and sand-brown (Traveler). Read my full review of the 8x30 CL Companion. The distinctive new design of the new binoculars combines a modern look and feel with the compact construction and proven ergonomics typical of this long established Austrian manufacturer. 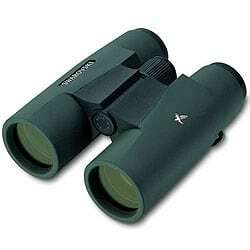 At only 500 g (17 oz), they are the lightest binoculars in the premium class. Fully water, dust and fog proof. 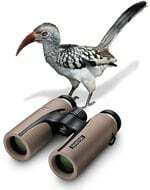 New Swarovski CL Companion Africa Binoculars - Full details of the new Africa version of the Swarovski CL Companion Africa binoculars. Field Report: On Safari with the 8x30 CL Companion - My thoughts and findings after taking the 8x30 CL Companion with me on safari in Zimbabwe. On Safari with Minox and Swarovski Binoculars - Why I chose to take these as well as a pair of Minox binoculars with me on safari and my thoughts and findings on them both after my return. These high end compacts come with a water and fogproof body, small 25mm objective lens and the double hinge roof prism design that make these very compact, especially when folded for a true pocket binocular that can be taken anywhere. 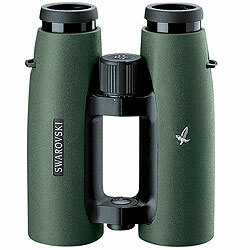 Swarovski SLC binoculars have recently undergone an upgrade and now includes the use of Swarovski's HD optical system. The range is characterized by their reliable and high-quality optics and tough construction. They now also feature the new easy to clean external lens coating called Swaroclean which makes it considerably easier to clean ocular and objective lenses. This is more important than it sounds as it means that they need less intensive attention to cleaning to to achieve maximum clarity, this in turn has the effect of considerably increasing the longevity of optics. The whole range are well balanced and feel comfortable to hold and the attention to small details is impressive. For example there are thumb rests on the underside as well as depressions on the top side of the binoculars, that combined with the rubber armouring ensure they are secure and comfortable in the hand. 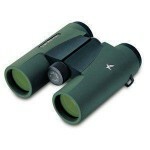 The wide range of models in the SLC series means that you can find a binocular for every purpose.